Free pens yeah!! That is what I think when someone hands me a promotional pen. Logos are everywhere. Check out your desk drawer or desktop. How many pens, pencils, or mouse pads are imprinted with a business name or logo? How about in your kitchen, I will bet there are sport bottles, can openers, or coffee mugs advertising businesses. Not only are logo-imprinted products everywhere, often times they are within easy reach as well. Imprinted products are used to promote a product, service, or company program however, do they really work. In 2004, a study of more than 800 business travelers, both men and women, was conducted at the Dallas International Airport area by P.P.A.I. The results indicated that at least 71% received a promotional product within the previous 12 months. Of that 71%, more than 33% had the promotional product with them, 76% could recall the advertisers’ name, and 52% conducted business with the company advertised! Over half who did not do business with the advertising company said they would do business with the company that gave them the product. Impressions last and as you can see one of the primary advantages of using promotional products is the frequency of exposure. My husband has been pondering the idea of using promotional products for our business. He took a local survey concerning the type of promotion product to use. Surveying numerous family, friends, and business associates whether they preferred a pen, magnet, or key chain revealed pens were the most popular. So my personal response is a common one, not limited to women. People like free pens! Consequently, I did a bit of internet browsing at USimprints.com and I was impressed. In my opinion, contact information is most important when shopping online. Generally, I will not do business with a company that does not offer “real people” to contact. This company gives the customer several means of contact. Live chat is available to answer general questions and an 800 number for specifics. I did call the 800 number, no waiting and a very friendly, helpful woman answered all of my questions directly. They put forward over 300,000 promotional products, including sport bottles, pens, pencils, mugs, and even umbrellas. The company offers a lowest price ‘exact match’ guarantee too. The terms of this guarantee are clearly outlined, conveying a sense of honesty. On the subject of pricing, as with most other promotional companies, the larger the quantity ordered, the lower the price per promotional product. As of this writing, there are 124 rush order promotional products available at no extra charge. As a result, I will be getting a quote for promotional products from USimprints.com for our small business. I would like to leave you with just one question, do you think promotional products afford the same exposure for blogs? 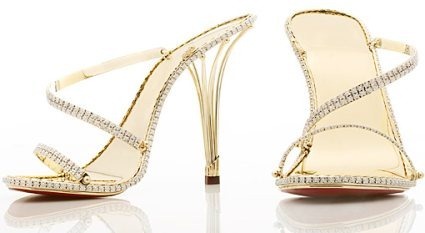 The World’s Most Expensive Shoes! Proactiv Acne Cleanser – Fact or Fallacy? The only comment that I really have to offer on advertising expenses, when it comes to business, is that it’s really a crap shoot in terms of the payouts and rewards. My dad spent every dime he had, plus some, back in 2005 to pump up the business’ sales. Needless to say, and all he wound up with was massive credit card debt from now ’til eternity. Unfortunately, lots of the advertising companies promised or quoted certain percentage results based on averages. But none of them really payed dividends to his business. He did everything from Comcast tv advertisements, to local flyers and coupon books, etc etc. So the only thing I can say is, if you do any advertising, do it with the idea in mind that you will get next to nothing back. Make sure you have money to basically piss away. And make sure that you do truly effective advertising to capitalize on every dime you spend. You have to do something that is SO FAR BEYOND the norm, that it will attract and grab customer’s attentions so strongly that they feel compelled to try you and your product. For instance, the majority of restaurants offer coupons right now such as “Buy One Get One Free Entree” or “20% off your Bill” etc. My dad recently did a coupon campaign where he offered his product COMPLETELY FREE. No strings attached. Bring in the coupon, and we will give you a quart of free pork fried rice. Customers were so enticed by the offer, that we had a good amount of business, despite the recession. Nobody else has ever offered a completely free product. They may offer a free product with the purchase of $25 or more, but not entirely free. You may question, how can you do something like this and still come out ahead. Well we found that approximately 40% of customers did purchase additional products, and I would say about 25% became repeat customers. So overall, it was highly successful. And all of this cost him less than just his one of his previous advertising endeavors in 2005. As far as how effective advertising is for blogs, I’m not 100% sure how successful it is. I will say, that whenever I personally see advertisements with website addresses on them, I check out the website addresses. However, being in this industry for as long as I have, I have noticed that the majority of people are not “computer savvy” and generally don’t visit websites unless they google specifically for it. That’s not to say that blogs can’t be effectively marketed. Gosh, I hope what I wrote isn’t obnoxious or annoying, but rather helpful. Nice reply Laurie. I think promo items work fabulously for certain types of business and nothing, I mean nothing, can compare to free food. Especially with the economic climate as it is currently.